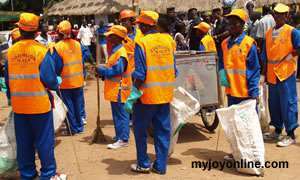 The Management of Zoomlion Ghana Limited wish to commend the Management of the Youth Employment Agency for its plans to restructure the Sanitation Module of the Youth Employment Programme to serve as a blueprint for other modules going forward. Without preempting any further discussion on the review or restructuring of the module, management however feels compelled to make some clarification on the following issues raised at the YEA press briefing yesterday. Disparities in reported beneficiary numbers versus physical count-That 38,884 beneficiaries turned up for the counting exercise by YEA as against the 45,320 recorded by managers of Zoomlion Ghana Limited. Zoomlion wish to state that the company’s number is captured in an album with the names, pictures and other details of beneficiaries for verification purposes. The shortfall however occurred as a result of a mixture of reasons, which the CEO of YEA, Mr Justin KoduaFrimpong has himself alluded to in a couple of media interviews. Beneficiary Apathy: Prior to the Agency’s exercise, there had been series of headcount exercises conducted by 1) the Agency’s regional and district representatives together with Zoomlion Ghana Limited,2)District Assembly Common Fund (DACF) directorate, 3)the various Metropolitan, Municipal and District Assemblies (MMDA’s) and Zoomlion Ghana Limited within a period of two (2) months with the objective of ascertaining the true numbers of the beneficiaries. In all these exercises, the beneficiaries had to commute back and forth from their communities to the district capitals and this may have led to the comparatively low turnout as compared to the numbers of beneficiaries in the album provided. Late arrival or ‘no show’ of the Head count team from the Agency to some of the centers. This situation led to most of the beneficiaries leaving the centers out of frustration. A situation which seriously accounted for the team not meeting all beneficiaries to get them to be counted. Transportation: Most of the communities have means of transport to the district capital only on market days therefore it became difficult to travel to the district capital when it is not a market day a case in point is Bole-Bamboi and Bunkpuruguyooyoo Districts in the Northern Region. Beneficiaries also had challenges regarding payment for transportation to headcount centres at the district/municipal capitals and this greatly affected the turnout of beneficiaries to the exercise. Zoomlion spent more hours spanning a day to two days at particular headcount centre to ensure that no one was left out compared to the Agency which spent some few hours in a day and hurriedly counted beneficiaries they met and left this resulting in the discrepancy. Issuing of Appointment letters to Beneficiaries. Since the inception of the Programme in 2006, under the National Youth Employment Programme (NYEP),Zoomlion has never issued any appointment letter to any beneficiary under the sanitation module. Per the Management Service Agreement, employment of the beneficiaries is the sole responsibility of the Agency who then have the mandate to issue appointment letters. The decision to pay beneficiaries Gh¢100 per month out of the Gh¢500 Management fee was not the initiative of Zoomlion Ghana limited. In fact, at the inception of the module in 2006, beneficiaries were receiving Gh¢50 per month, it was the management of Zoomlion that initiated the move for the allowance to be increased to Gh¢100. So the same Agency which set the initial amount is the only one that has the authority to change it. Wheel barrows, shovels, brooms, rakes, cutlasses, alley brooms, jackets, spades, uniforms, hand gloves, nose masks, reflective jackets, safety boots, pickers, street brush, road cones etc. These are supplied regularly and are all paid for from the management fee. Apart from these, vehicles to carry supervisory staff including fueling the vehicles are all covered from the Management Fee. Zoomlion has for countless years had to pre-finance the payment of theseallowancesof beneficiaries by borrowing money at high interest rates but at no cost to the government due to delays its payment. Presently, payments to the company is in arrears of over four years running in millions of cedis. The company has since 2006, religiously submitted quarterly and annual reports to the management of the YEA, and has never had any correspondence from the Agency acknowledging receipt or questioning the quality of work being done. Zoomlion Ghana Limited has over the past 12 years been at the forefront of ensuring that Ghana is clean, green and healthy. Over, this period the company has built experience, capacity and logistics to serve the country in as much as we can to ensure that the President’s vision of making everyday a sanitation day and Accra the cleanest city in Africa a reality. By dint of hard work and its service excellence, the company which has won several awards both local and international has operations in other countries including Angola, Zambia, Togo, Equatorial Guinea and Liberia.